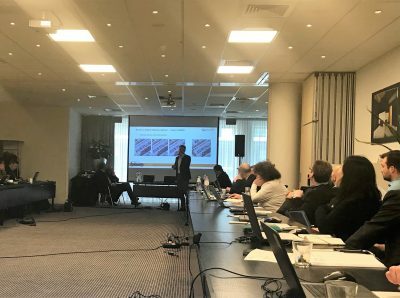 A presentation related to interACT was performed by Marc Kaup from HELLA during the GTB-Focus Group ADS Lighting event that took place in The Hague, the Netherlands on 27 February 2018. Discussions about development of Exterieur Lighting and HMI for Automated Vehicles took place. Focus was and will be on the question “How could an AV interact in mixed traffic environments?”. During his presentation entitled “interACT_Project overview” Mr. Kaup introduced the interACT project, its objectives and challenges. The event was attended by over 40 participants.